While in Sunday School at age 4, she met her lifelong friend and soul mate, Jerry (Eugene) Lydiatt. The two became friends, eventually fell in love and remained so until his death in 1985. They dated throughout college, graduating in 1941 from Nebraska State Teachers College in Kearney. Jerry volunteered for the US Army in December, 1941. Hastening their plans, they were united in marriage on April 5, 1942. Legend has it Jerry slipped away from his base in Denver, took a train to Lodgepole and the wedding was held in Maurine's parents house at one o' clock in the morning. Dinner was then served. Maurine taught school in Lodgepole and continued to do so for the rest of the school year while Jerry was in training. The couple spent as many weekends together as possible. Maurine moved to Orlando, FL, Clearwater, FL, and Burkburnett, TX until Jerry shipped out to India for two and a half years. After the war, and a brief teaching stint in Mitchell, NE they settled in Chappell and ran the Minneapolis Moline-Lydiatt Implement Business. Their children were born in Sidney and Chappell, and raised in Chappell. Maurine taught elementary school there for nine years, retiring in 1976. 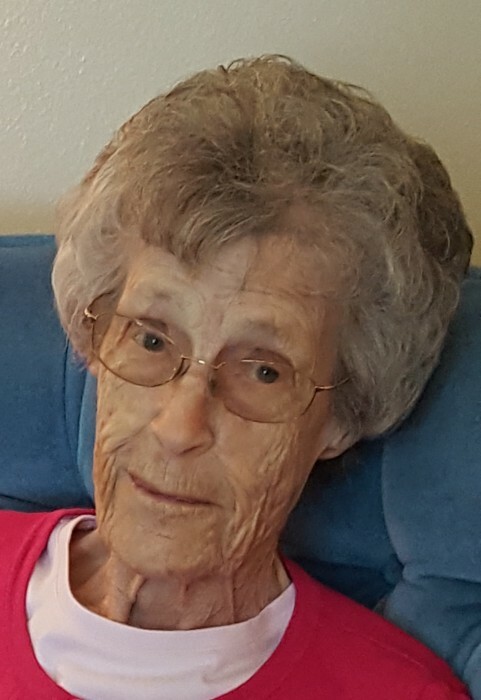 She was very active in her community as a member and officer of PEO, Methodist Circle and other organizations dedicated to helping the community. She was a lifelong member of the United Methodist Church and was very active in the choir as an excellent soprano. She served as church treasurer for several decades. Her selfless and empathetic qualities were exemplified by the countless meals she and her friends provided for bereaved families after services. Her nature was one of quiet, compassionate dedication to improving the life of those around her. This was evident throughout her life. She made sandwiches and served them to the troops at the North Platte Canteen during WWII. She provided countless hours of fun and loving childcare for her many grandchildren and great-grandchildren. Her impact as a teacher and her loving devotion to motherhood exemplified her thoughtful nature. She was a caring, patient and nurturing mother, grandmother and great-grandmother. Everyone enjoyed going to Grandma's house because of the abiding sense of joy and peace. Her legacy is found in the enrichment of the lives of the students she touched, but even more in the profound influence she had upon her children and family. Maurine had a wonderful wit and could always find the good in people or situation often pointing this out with humor and irony. When asked by her grandson if she needed more water, she replied, "why no, my glass is half full already". She was nonjudgmental and very accepting of others. She loved flowers and always had an impeccable house and garden. She was an avid card player and enjoyed hosting and attending many bridge clubs with her friends. Years after Jerry passed, she and her sister Donna could be found going to the post office, sharing a ride and laugh. Maurine is preceded in death by her husband; parents; brother; son-in-law, Jim Jeffres; and an infant son, James Paul. 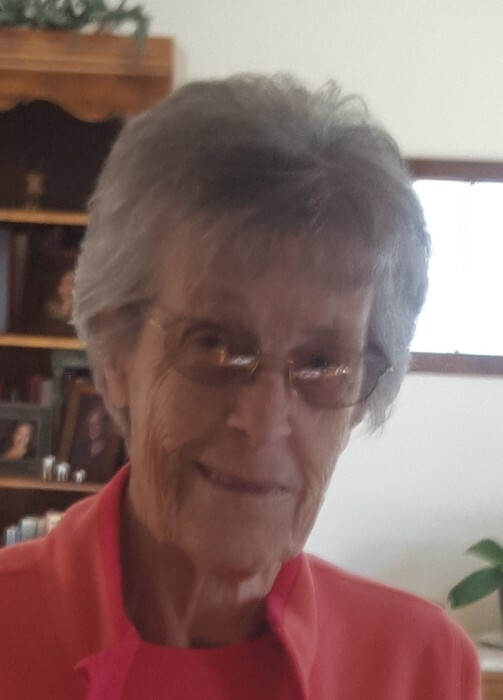 She is survived by her sister, Donna LaMore of Chappell; 4 children, Steve (Patty) of Colorado Springs, CO; Dan (Carol) of Omaha, NE; Barb Jeffres of Ogallala; Bill (Kathy) of Bellevue, NE; 10 grandchildren; and 6 great-grandchildren. She lives in the hearts of those that knew her and was truly an inspiration to all of us fortunate to have known and loved her. Memorial Services will be Saturday, January 19, 2019 at 2:00 p.m., at the Chappell United Methodist Church, with Pastor David Abbott officiating. Inurnment will be in the Pleasant View Cemetery at Lodgepole, NE. A memorial has been established to the United Methodist Church in Chappell. The Register Book can be signed at the Draucker Funeral Home.